Cooling System – The entire system should be checked, including the radiator, coolant, belts and hoses, cooling fans, heater core, and water pump. The radiator and belts/hoses take a beating during the cold winter months and can lead to serious engine damage if not checked. Tires – Make sure your tires are road trip ready by checking both their pressure and tread. Tire pressure fluctuates with the weather and will increase approximately one pound per every 10 degrees Fahrenheit. For tire tread, the minimum acceptable tread depth is 3/32 inch—that's the distance from the edge of a penny to the top of Abe's head. Steering and Suspension – Winter can be tough on a vehicle's suspension. We recommend having your suspension and the front end checked annually, including ball joints, tie rods and steering components. Oil Change – As always, your vehicle should have an oil change at least every 5,000 miles. This is particularly important as the weather gets warmer because rising temperatures outside combined with a hot engine can be disastrous without the proper lubrication. Transmission – If your transmission is close to its recommended service interval, have it checked. Make sure the transmission fluid is clean and, if necessary, have it flushed. According to the Car Care Council, 8 out of every 10 vehicles failed at least one component of their inspection during last year's National Car Care Month—that's an 80% failure rate of vehicles on the road! Help us lower that statistic and make the roads safer by bringing your car in for a tune-up during National Car Care Month. 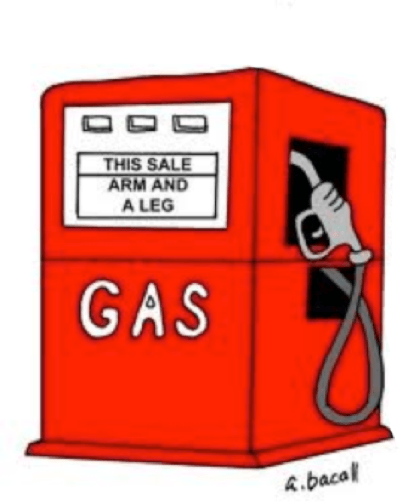 Consolidate trips- A longer multi-purpose trip uses half as much gas as several short trips taken from a cold start. According to the Car Care Council, 60 percent of people claim that rising gas prices have changed their driving behavior. Furthermore, 90 percent say that they drive less and 75 percent say that they are maintaining their vehicles better. Shouldn't you be one of them?